One of my favourite puzzles is the 'Linda Problem'. Linda is a bank teller and active in the feminist movement. If your answer is option number two, welcome to the club of the 90% people who got it wrong. Option number two is the wrong answer. Chew on it some more and you'll realise there are likely to be more bank tellers in the world than bank tellers who are also active in the feminist movement. We may have sent people into space and invented weapons that could flatten our planet in a matter of days, but our brains are still a product of evolution. Which means if you are not careful enough, they can mess up something as simple as the 'Linda Problem' and do it over and over again. In fact, these biases interfere so much with our decision making, there is seldom a day we don't fall prey to them. Hurry! In just a few days Anisa Virji will start sharing CONFIDENTIAL details on Rahul Shah's Accelerated Profits Strategy with everyone who has claimed their spot for the Summit. So, if you still haven't Reserved your FREE spot… Don't delay! No one is better than Nobel prize winner, Daniel Kahneman, in exposing our vulnerability to them. 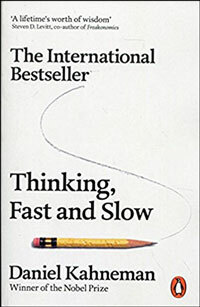 His book, Thinking, Fast and Slow, is a great read and I can't recommend it highly enough. Read it cover to cover and you will come out the other side much wiser. There's something Kahneman said recently that struck a deep chord with me. There are very few examples of people outperforming algorithms in making predictive judgments. So when there's the possibility of using an algorithm, people should use it. We have the idea that it is very complicated to design an algorithm. An algorithm is a rule. You can just construct rules. Does Kahneman's insight apply to the field of investing? 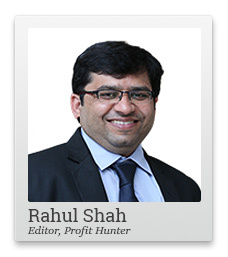 Do algorithms or rules-based investing do better than experts in the field of investing? Well, turns out most experts not only fail to beat the markets consistently over a long period of time, they fail to do so miserably. As a matter of fact, Benjamin Graham, the father of value investing, was the first to realise this. Yes, that's right. The very same person who wrote a couple of investing best sellers about how one can build an investing expertise and can outclass the stock market indices was now skeptical of his own theories. It later dawned on Graham becoming an expert in stock picking may not be everyone's cup of tea. Instead, following a few simple rules could work better over the long term. Here's Graham in his own words. Yes, well now I have lost most of the interest I had in the details of security analysis which I devoted myself to so strenuously for many years. I feel that they are relatively unimportant, which, in a sense, has put me opposed to developments in the whole profession. I think we can do it successfully with a few techniques and simple principles. The main point is to have the right general principles and the character to stick to them. Nobel-winning Kahneman and Ben Graham are on the same page after all. I decided to go down the path so highly recommended by both these luminaries back in 2014. I often wonder why I didn't listen to them earlier. Here's the breakup of returns my rule based service Microcap Millionaires has generated vis-à-vis the benchmark index over the years. A 177% point to point return since inception. That's more than double the Sensex's 84% return in the same period. All by following three simple rules. A rule that automatically turns you greedy when others are fearful and fearful when others are greedy. You too should give it a try. It will add a new dimension to the entire process of investing and set you up for fabulous long-term returns. PS: The last time we published Equitymaster's Secrets: The Biggest Lessons from Our Entire 20+ Years Investing Journey, over 20,000 readers claimed their copies. This time, we are printing only 1,000 copies of the updated version which includes a special message from co-head of research, Tanushree Banerjee. Claim your copy before we run out of stock!